The small format, manual precision sharpener is for squeegees 20” or less. 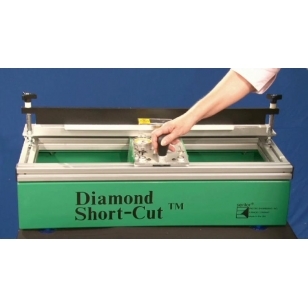 This portable table-top design fits anywhere and comes with a single 120 grit industrial strength diamond sharpening wheel included. 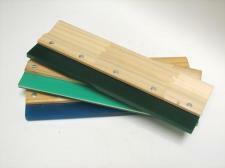 Squeegee clamp feature allows a variety of blades to be sharpened while mounted in the handle. Micrometer adjustment enables very precise sharpening of blade edge.